Gearbest have been selling their Furibee FPV quadcopters for a while, and it has generaly been well received. The main concern that many people had with this quadcopter is the poor reception from the VTX unit. Another complained for a second batch of units is that it no longer used the Kakute F4 flight controller. Gearbest have listend and have now released a new version, under the exact same name of the FuriBee X215 Pro. This new version has an improved VTX with extra shielding, and goes back to using the Kakute F4 flight controller. 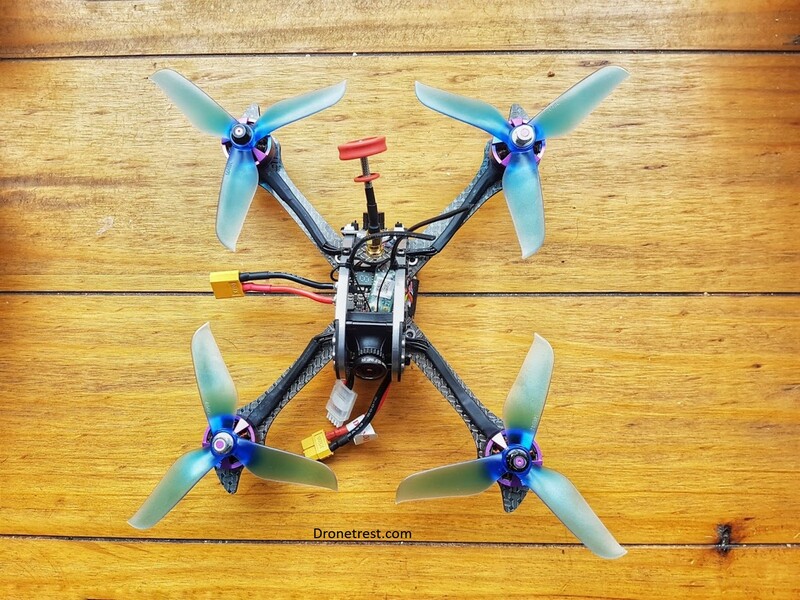 Priced similar to the popular wizard X220, could this be the new best budget quadcopter? Let’s take a closer look. Overall great for money quadcopter with impressive performance. The frame uses an aluminium cage, along with 4mm carbon fiber arms. This makes the FuriBee nice and strong. Furthermore the carbon fiber paltes have a stylish carbon weave. You get a full 3 sets of propellers in the box, that is 12 propellers. FPV camera is one of the best non-brandname cameras, and provides an excellent picture. For insane performance you can run this X215 on a 5S power setup. One of the best beginner FPV quadcopters. It also gives you the options to get better performance as your skill levels improve. Start on 3S batteties, and move to 4S and 5S as you get better. Not the lightest quadcopter at 350g (without a battery). Although the powerful motors to make up for this. The aluminium cage also offers plenty of protection for your electronics. No ready to fly option, so makes it slightly harder for a beginner to get started. Low clearance between the VTX and flight controller. This introduces some noise, but more importantly if you are reassembling the flight stack, make sure you dont get any wires caught between the VTX and FC as this will impact the vibration damping of the floating IMU. Gearbest have built a quadcopter that performs where it matters. The Furibee is cheap and well built, making it an attractive proposition for a beginner FPV pilot. 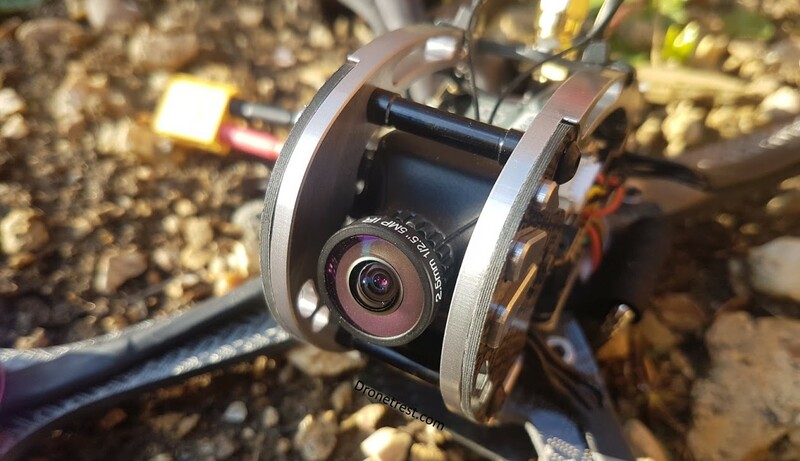 However, it gets better as it has impressive flight performance and supports a lot of the latest FPV technologies. Although this quadcopter is among the better 5-inch racers, it is an even better offer for someone starting out with FPV. 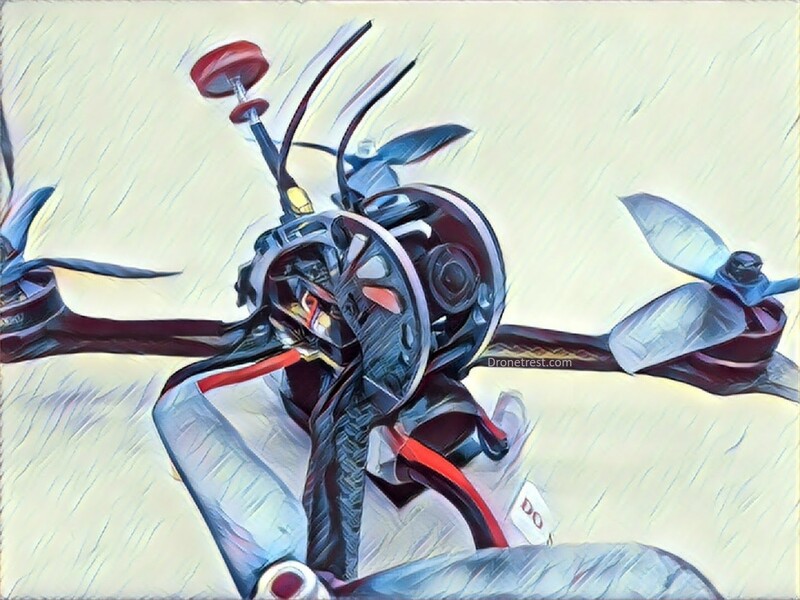 You can start by running this quadcopter on a 3S battery for more tame performance, and this can be stepped up by using 4s and even 5s batteries for increased performance to match your piloting skills. The frame itself uses is a 215mm X design, that has 4mm arms and a durable aluminium centre cage to keep your electronics safe in a crash. This design is similar to the Dquad obsession, or the GepRC Leopard which features the same aluminium cage design. The arms are 4mm carbon fibre, and the two central plates are 2mm. The interesting thing here is that the outer layer of the carbon fibre has a very unique and cool looking design. It is doubtful that this top layer is actually true carbon fibre, and if it is, the weave is not particularly strong. That said, there is the frame seems to be just as strong as any other 4mm frame, and the aluminium cage distributes any stress between the arms in a crash. The fully built Furibee comes in at about 340g, which is about average. 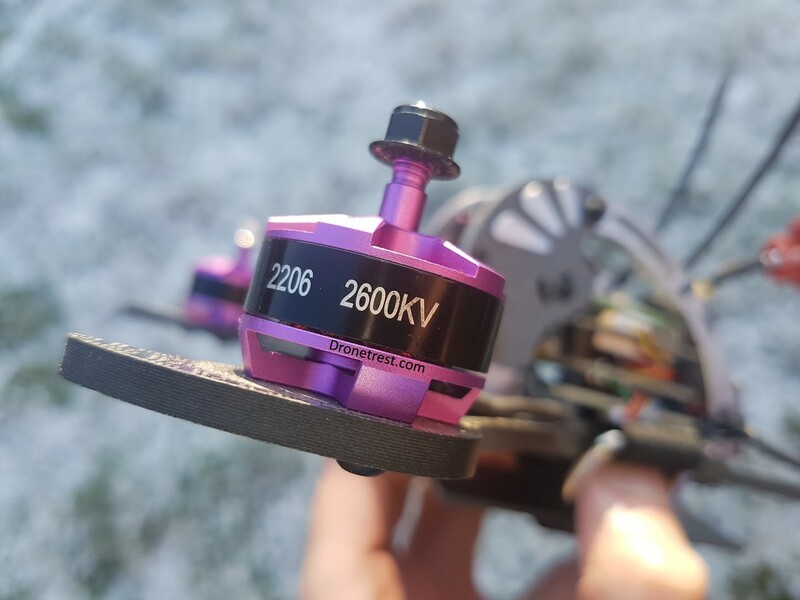 Overall this is a great frame, that offers good protection, ideal for a beginner getting into FPV. Driving the Furibee X215 are some 2206 2600KV brushless motors. They look exactly the same as those used on the Wizard X220S, so I suspect that they come from the same factory. But this is no bad thing since they are extremely powerful, there are no official specs for the ones used on the Furibee, but the X220S motors can produce over 1.1Kg of thrust each, and I have little reason to think the 2206 motors on the FuriBee are any different. You also get 3x sets of generic 3 blade 5048 propellers that are perfectly fine. Overall the motor/prop combination works great with the furibee, providing plenty of punch when you need it. 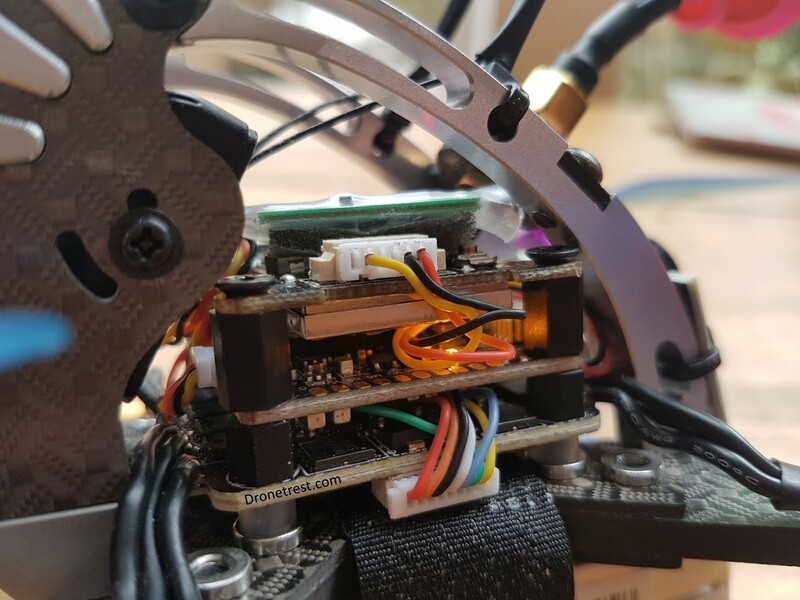 The 30A 4in1 ESC runs the BlHeli_S firmware, and support up to Dshot600. This is ideal for just about every FPV pilot so there are no complaints here. The ESC is mounted on the bottom of the flight stack, protected by the aluminium cage. This keeps your ESC out of the way of the propellers in a crash. The motors wires have some braided shielding to offer some extra protection, but also keep things neat and tidy on the quadcopter. At the heart of the flight stack is a Kakute F4 flight controller (version 1.4). This is an excellent flight controller designed by HolyBro. It features an F4 MCU, coupled to an ICM20689 IMU that runs at 32Khz to give you insanely fast updates. Furthermore, the IMU is mounted on some soft foam to reduce any problems due to vibrations. Finally the Kakute FC also has a built-in betaflight OSD, allowing you to customise whatever overlay you want on your FPV video feed. Holybro have upgraded the Kakute to version 2, but this just adds a few extra features but uses the same F4 MCU and IMU. There have also been reports that some versions of the FuriBee X215 did not include a Kakute F4. I cannot comment, but we ordered ours from gearbest in February 2018, and ours did, in fact, include a Kakute F4 flight controller. 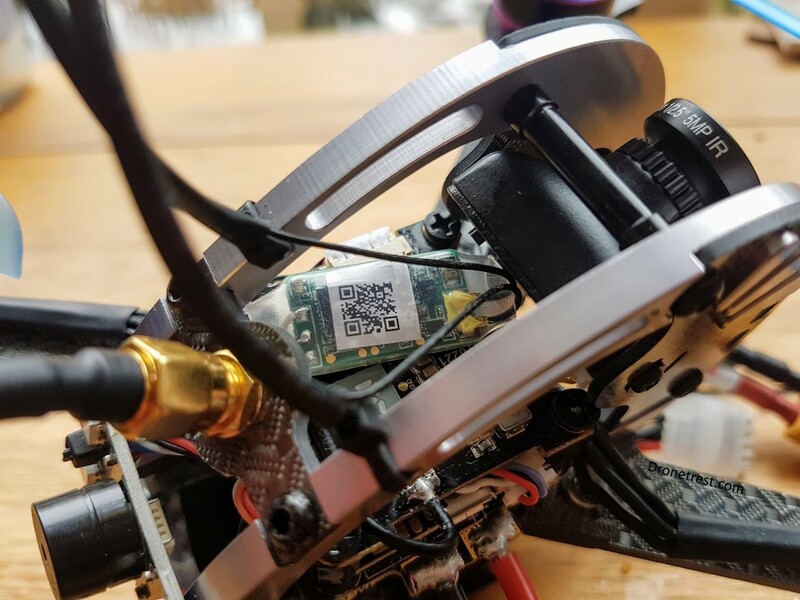 The Furibee quadcopters uses a generic 40ch 5.8Ghz video transmitter. This component fine as run of the mill VTX, however, it does not have any extra bells/whistels. There have been a bunch of other reviews of the Furibee X215 that have bad noice on the video signal. However in the new batch, the bottom of the VTX has a metal shield that stops alot of the nose getting onto your FPV video feed. However, the VTX itself does not include any large capacitors so some motor noise does come through onto the video feed. This is not the end of the world since you can fix this by adding a 1000uF capacitor to the battery lead, but this is something you will need to solder on yourself. However, the VTX itself is perfectly fine for a beginner, but this will be the first component that you should look to upgrade, either buy adding a capacitor, or by swapping it for something better with more features like smart audio. If you do go for the latter option, the Holybro Atlatl would be a great option here since it is designed for the Kakute FC, and offers some extra functionality such as being able to be controlled via your RC controller. You can buy the FuriBee with the option of a Frsky XM+ receiver, or without any receiver. If you go for the Frsky XM+ option, it comes pre-installed complete with the antennas mounted nicely with some cable ties. However, if you are in the EU, it does not come with the EU LBT firmware installed, so you cant use D16 mode. It is fairly easy to change the firmware yourself, but its something to bear in mind. The FPV camera is surprisingly good for a budget quadcopter. It uses the super HAD II CCD sensor used on the best FPV cameras. It also has great resolution at 1200TVL. It is coupled to a decent 2.5mm lens. Given that you get such a nice camera, it is a real shame that the VTX (in its stock configuration) has so much noise. On the rear, you have a buzzer/LED installed. The Buzzer is definitely a nice feature, as it lets you know when you change flight modes, arm/disarm via an audible beep. If you crash in some long grass you can activate the lost model alarm to help you find your quadcopter. The RGB tail LED’s can also be configured within betaflight to flash in a specific sequence, or bet set to a colour you like. When racing, it also helps other pilots see your quad as your buzz past them. 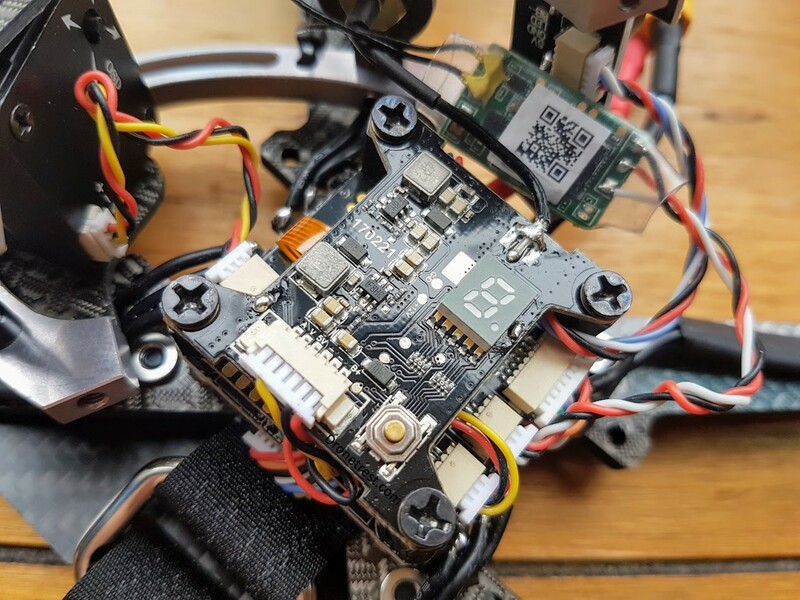 The FuriBee is sold as either PNF (add your own receiver), or BNF (with a receiver), there are a few things that you will still need if this is your first FPV quadcopter. Here are our suggestions. Thanks for reading, and I hope that this review has helped you make up your mind. If you do decide to buy it, we will appreciate you using our link above, as this gives us a small throwback to support dronetrest, even if you dont buy this specific quadcopter. If you have any questions about the Furibee X215, or suggestions please let us know. Finnaly, if you buy one and have any problems, please let us know as we support our readers with technical support, and if needed we can talk with manufacturers directly to get your problem resolved fairly.